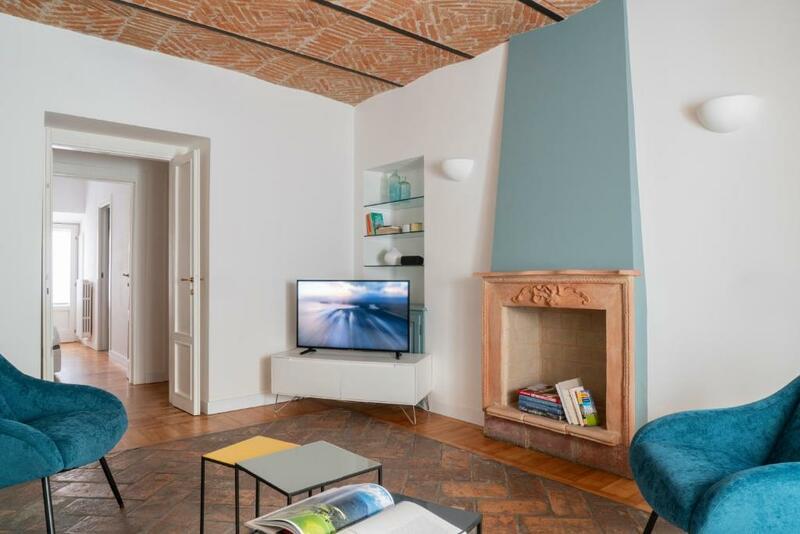 The apartment was so pretty - modern but with the old features (gorgeous brick ceiling!) The location couldn't have been better, the place was spotless, everything worked perfectly. It was nice to have so much space for the price of a little hotel room, and other than no concierge or room service, it felt like a hotel in the sense that any issue would be addressed immediately. Excellent location and a cozy bed. The apartment suited our needs and the staff was so friendly and helpful. A lovely stay! very nice staff and he waits us in the apartment before we arrive. apartment is very large and suitable for a big family. The location is excellent, nice airy rooms. Close to many restaurants and sightseeing. Clean and comfortable room. Easy access to all of Milan. Close to good restaurants, museums and transportation. This apartment is located in the Brera area which is nowadays is the most interesting area in Milan. The apartment is very clean and quite. There is a good shop nearby and it is easy to walk to the city center. It was a very good communication always with one of a member of the staff of Brera App.. Easy handling the key. Also very friendly and fast in correspondence. Great area to live in. And the WLAN were fast. We can sure recommend the stay. 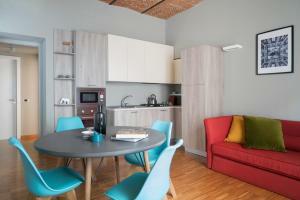 Lock in a great price for Brera Apartments in San Fermo – rated 8.8 by recent guests! Brera Apartments in San Fermo offers elegant accommodations with air conditioning and free WiFi in Milan's lively Brera District. It is just 1,650 feet from both Moscova and Turati metro stations, and a short walk from the Quadrilatero della Moda fashion area. 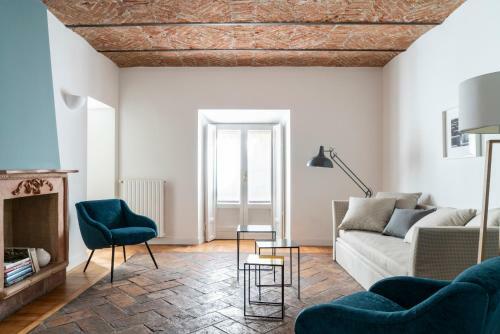 Fine parquet floors and a mix of modern and vintage décor define each apartment. All come with a flat-screen TV and docking station. Each apartment is composed of 1 or 2 bedrooms and a living room with fully equipped kitchenette with a coffee machine and microwave. Guests will enjoy discounts at the Olmetto restaurant and can also purchase the Brera Apartment City WiFi service, which allows you to surf the internet in the whole of Milan during your stay. Milan City Center is a great choice for travelers interested in food, restaurants and luxury brand shopping. This is our guests' favorite part of Milan, according to independent reviews. 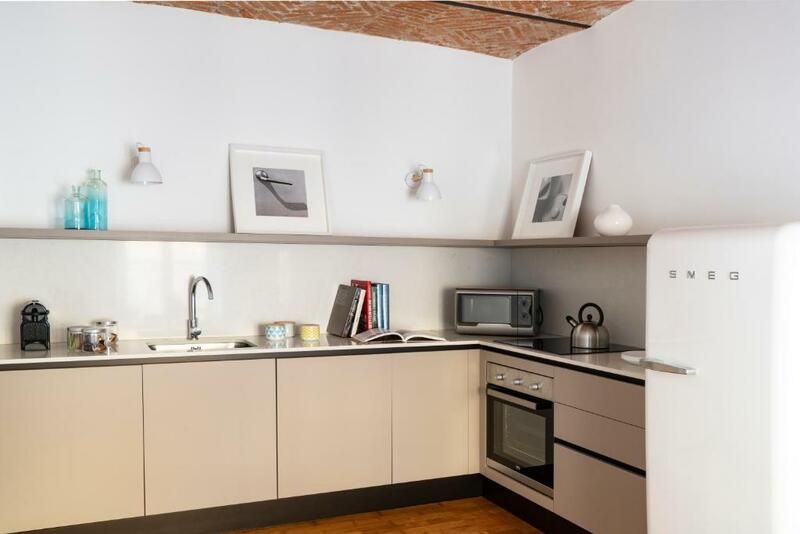 뀐 Located in the real heart of Milan, this property has an excellent location score of 9.3! 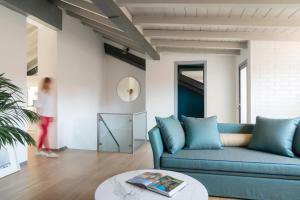 When would you like to stay at Brera Apartments in San Fermo? This bright air-conditioned apartment offers free Wi-Fi, an LCD TV and a docking station. A coffee machine and microwave are provided. The apartment consists of a bedroom, a living room with fully equipped kitchenette, and a bathroom. It is modern and elegant, with parquet floors. This spacious air-conditioned apartments offer free WiFi, LCD TVs and docking stations. A coffee machine and microwave are provided. It consists of a bedroom, a large living room with sofa bed and dining table, a bathroom, and a fully equipped kitchen. It is modern and elegant, with parquet floors. 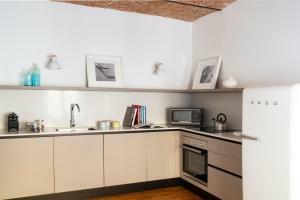 This air-conditioned studio features a kitchen, a sofa bed and bathroom with shower. 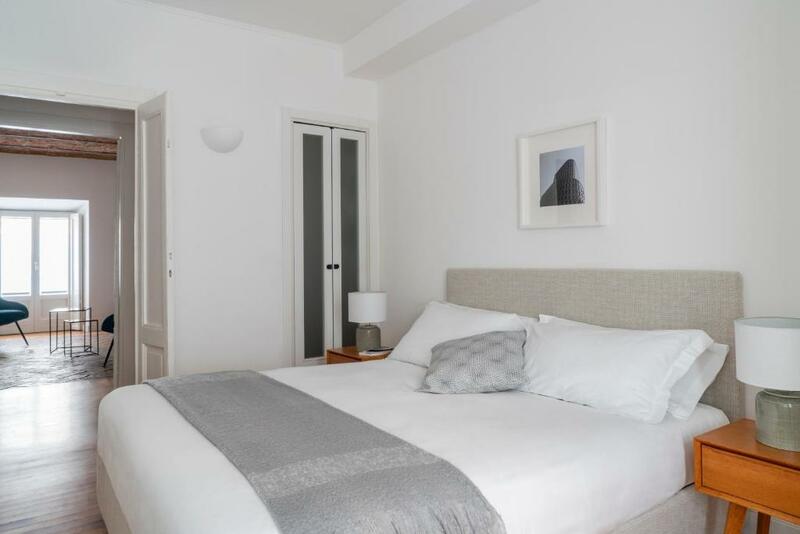 This apartment offers 2 separate bedrooms, a kitchen, and a living room with flat-screen TV, Sky channels and a sofa bed. It also has a bathroom with a bath tub. 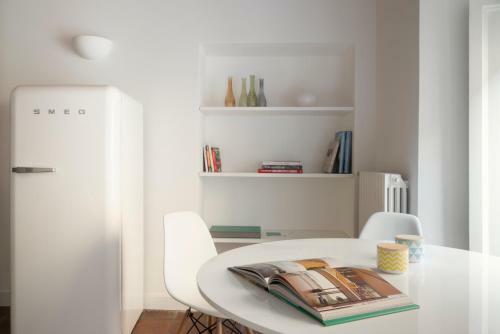 This apartment features a microwave, sofa and washing machine. This apartment has a stovetop, kitchenware and iPod dock. We’ve chosen and selected only quality solutions, with amenities from the best hotels and the privacy that only an apartment can offer. 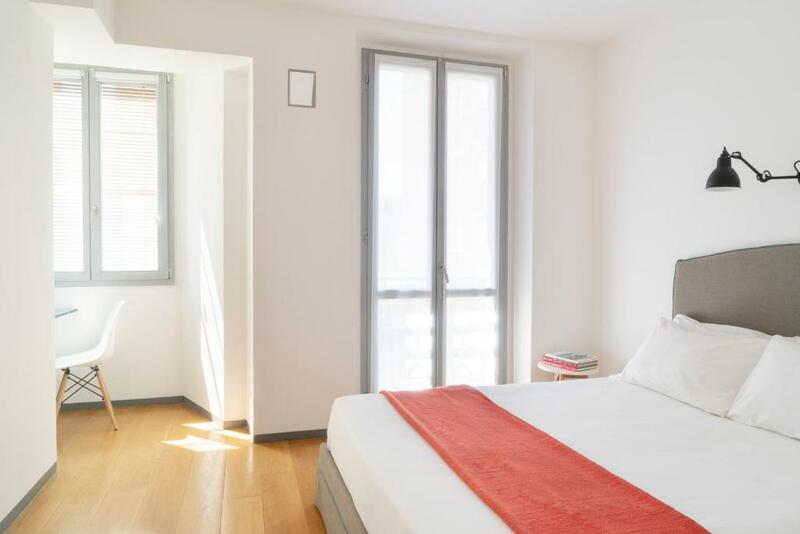 In the most charming and prestigious areas of Milan, our apartments are the ideal solution for both business travelers and for enjoying Milan’s dynamic lifestyle of artistic venues, cultural events and shopping. Area Info – This neighborhood is a great choice for travelers interested in food, restaurants and luxury brand shopping – Check location Excellent location – show map Guests loved walking around the neighborhood! House Rules Brera Apartments in San Fermo takes special requests – add in the next step! Brera Apartments in San Fermo accepts these cards and reserves the right to temporarily hold an amount prior to arrival. Please note that check-in after 23:00 is not possible. Bed and bath linen are changed every 3 nights. Extra changes are available on request and at extra costs. Luggage storage is available in Via dell'Annunciata 23/1 from 9:00 to 18:00. Please inform Brera Apartments in San Fermo of your expected arrival time in advance. You can use the Special Requests box when booking, or contact the property directly using the contact details in your confirmation. If you require an invoice when booking a prepaid rate, write this and your company details in the Special Requests box. It was noisy at night - typical of an apartment in a big city. The neighborhood was nice and quite , but I could hear the restaurants below taking out their trash late at nigh and then the trash pickup early in the morning. Again, typical of living in a city, but for a light sleeper it would be hard. The lock in the door is tricky, but this is a minor thing. It needed a few extra in the kitchen: salt, pepper, napkins and paper towels. Nice layout, clean Exactly as advertised. Perfect location, not two central so it’s ridiculously expensive but not too far out. supermarket, restaurants, metro. everything is near. the area is very beautiful! the apartments are clean, comfortable! people who work with these apartments are polite! There was no shower in the apartment, just a bath with a shower head. fully equipped kitchen, spacious apartment, nice bathroom, comfy beds. well laid out. central location in a quiet apartment block. good communication with the staff before visit. The front door locking and unlocking system was very stressful. Very difficult to use and we were locked out on one occasion. Nowhere to eat when we arrived late on a Sunday night. Difficult storing luggage on our final day. The apartment is super spacious, the bed is delicious, nothing like a well-made bed. The facilities are new abd modern. There’s no noise at all and it gets a lot of light. Love Ortigia bathroom products which they had and plenty of towels, complimentary coffee and water. Lasly, it has two AC’s which work perfectly. Enrico was extremely helpful and assisted us throughout our entire stay from dealing with lost luggage staff at the airport to keeping us updated with delivery status of bags. Apartment is in a great location and an easy walk into the main centre. We saw a ghost in the second floor, in bathroom and bedroom.. and in the middle of the night water start running in the bathroom..so we get scared. But it sometimes happend..